You know that you should be building an email list, even if your blog is based around a hobby and for fun, you should be building an email list for many reasons. I won’t go into the reasons why but I will share with you the four most popular and best lead magnets to build an email list. For those who have never heard of a lead magnet before, that is the term given to the giveaway that is used to coax people to join your email lists. After years of thin and poorly regurgitated reports being offered to get people’s email address, people these days are very wary and not so quick to hand over their details. In order to get an email address these days you need to give serious value. Here are 5 Great Lead Magnet Ideas to Build Your Email Lists. This is the traditional and more used form of email lead magnet, now I would sometimes advise people to create a short report from a few of their blog posts if they do not have a report but that does depend on the quality and length of posts, as I said before quality and value is what people expect and if your blog content is mainly 500 word posts with no images and little information then forget it and write one. You need to write a good quality useful eBook these days to make your subscribers feel that they have got value. If you are not sure your writing is any good then I suggest outsourcing your writing to a professional writer that you can find at places like Elance, Odesk or even by approaching people you know who write the stuff you like. EBooks and reports are good because you can incorporate affiliate links to products and services that you use like hosting companies and WordPress Themes meaning that you could earn some extra pennies in the process. 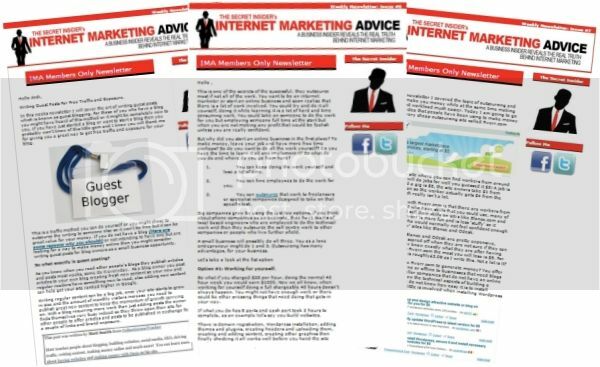 ECourses are similar to the eBook and report but instead of sending the subscriber the eBook or a link to where they can download it you simply send them all the information in a daily or weekly ‘do this part now’ type of email where the subscriber can learn and do in stages like a course. Normally ecourses are between 5-7 days long and an email is sent every day. The emails that arrive each day remind and reinforce who you are in the readers mind and are great for building relationships. Some people prefer to do their ecourses over weeks, once the course information is finished the emails change to a weekly email newsletter. Why suddenly stop when the course comes to an end? Keep emailing your subscribers with great information. The key here is again to keep sending your subscribers great useful information; it is all about the value. 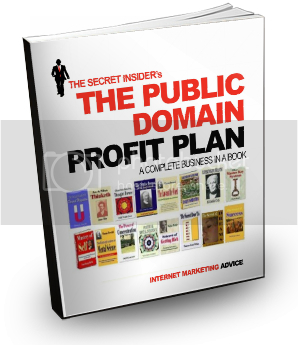 This is a popular one especially for those in the internet marketing niche. With the people they are targeting are wanting to make money from internet marketing methods like building email lists, selling affiliate products, generating money from CPA networks and earning advertising revenue, they would be so keen to get their hands on templates that they could start to use in order to make that money they so desperately crave. Zac Johnson’s post Create Killer Landing Pages gives away a free template and is one of his most popular posts. Do you think people will give you their email details for proven working landing page template? HTML templates and even simple WordPress Sales Page Themes can be made by developers overseas for only a few dollars by using sites like Elance and ODesk. These Themes could also help you with SEO if you have your website address embedded into the design as a link. As you normally see at bottom of many sites…’ This Site is Proudly Powered by Woo Themes’ etc. The HTML templates are created with content on them so that they can be opened in a free or cheap HTML editor like CoffeeCup and then you simply change the content to your own and then upload to your server. This is a good one, but you do have to be careful with competitions, if you give out a prize that is non niche specific like an iPhone you will get people who have no interest in your niche or emails signing up hoping to win a freebie. Your prizes must be relevant to the niche you are in and of some benefit to the type of people you want on your email list. As an example, if you have a website dedicated to all things WordPress and you are teaching people how to use WordPress while maing money promoting Themes and Plugins etc. You could offer as a prize a premium Theme, a premium Plugin, a year’s worth of paid WordPress back up or even build a WordPress blog to give away as a prize, fill it with content for a few months and while doing that send out email updates to people who joined your email list to win the website. Some people might get impatient and your updates could have them wanting to create their own sites fast so your email updates could have affiliate links to hosting services as well as WordPress Themes and Email Autoresponder services. 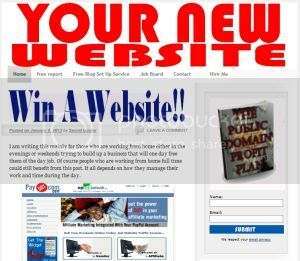 I love the idea of a Website give away as it could cost as little as $70 for the year and over that period of time you build that list of eager people. 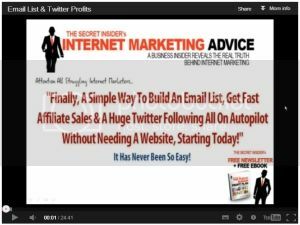 This is another popular lead magnet; again this can be like an ecourse, a series of short and informal videos that you store on your site as separate pages that only your email subscribers can access once you have sent them the link in the emails. This can be done daily over 5-7 days or weekly. You do not have to do a series of videos; you could give them access to one very information packed video that is 30 minutes to an hour long. As long as the video has a lot of quality useful information that the new subscriber can use then you are giving good value. Your videos do not need to be of Hollywood standard, if the content is good your subscribers would be happy. Making videos is very easy these days, all laptops and smart phones come with excellent webcams for recording face to face videos if that is the type you decide to do otherwise you can use Screencast-O-Matic.com to record great screen tutorials. Screencast-O-Matic allows you to record 15 minutes of video for free or if you upgrade for $15 you can use the full software for a full year allowing you to record longer videos and edit them. The software is suitable for both PC and Mac and can be used online or even downloaded to your computer. A cheap hand held camera mounted on a tripod facing you stood next to a white board would make an excellent set up for real time tutorial. It might take a few trial runs to make sure you and the white board is in the exact position you require but as long as your content is useful people won’t have an issue. So there you have it, 5 great products you can create and give away as email list building lead magnets. So what is stopping you from creating one of these lead magnets and start building a quality email list? I currently work within the Internet Marketing industry and feel the need to inform people of some of the unethical methods some of these people use. I write about ethical blogging and marketing tips and ideas as well as inform people of things to avoid.